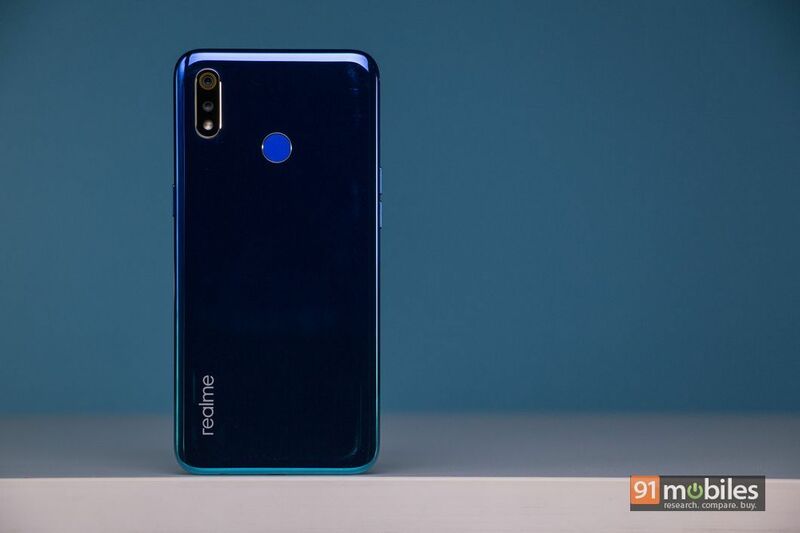 I reviewed both the Realme 1 (review) and the Realme 2 (review) last year, and felt that these phones were quite impressive and packed in quite a bit to stand out from the competition. 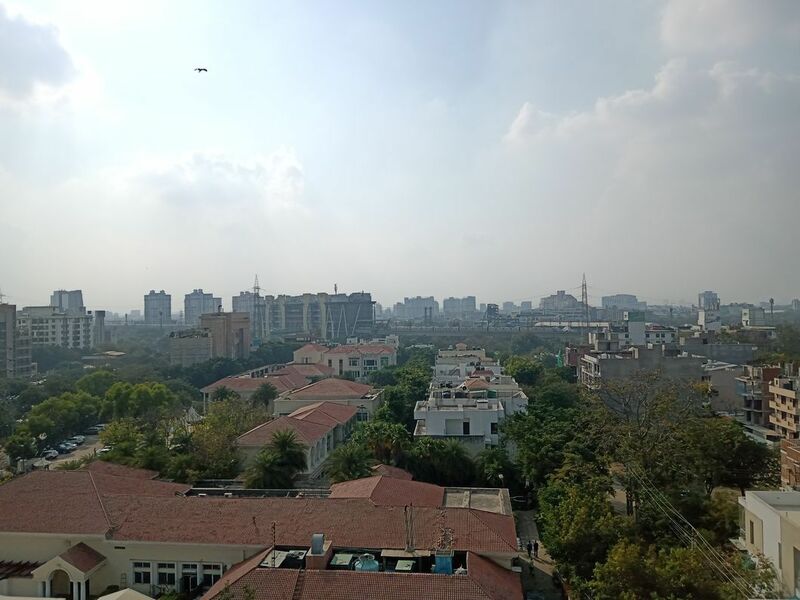 And then, with the Realme 2 Pro (review) and the C1 (review), the brand pushed the price-to-specs equation to the extreme by offering never-seen-before features in their respective price segments. Kicking off 2019, the brand has launched its mainstream offering in the form of the Realme 3, which continues with its predecessor’s legacy and seems to be a solid VFM option in the sub-Rs 10k segment. 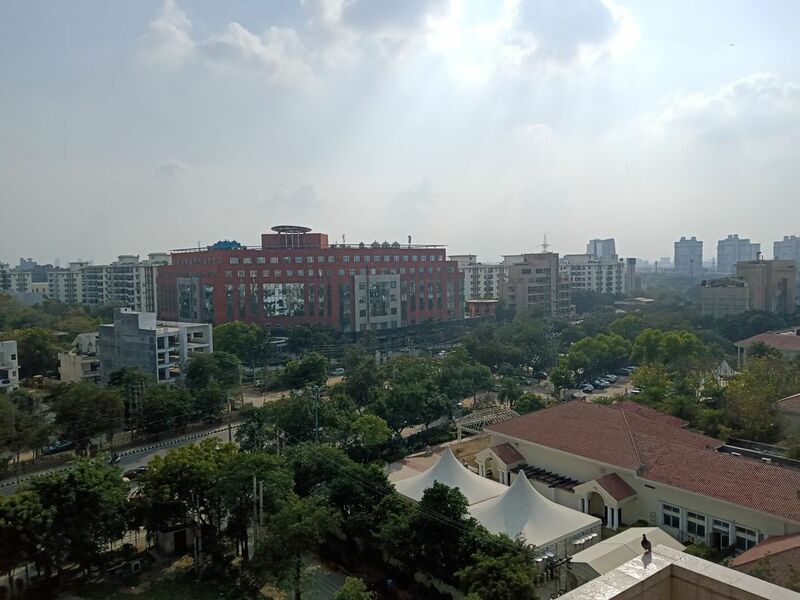 I’ve been using the phone ahead of its official launch to figure out if the Realme 3 is actually a substantial upgrade over the Realme 2 or not. 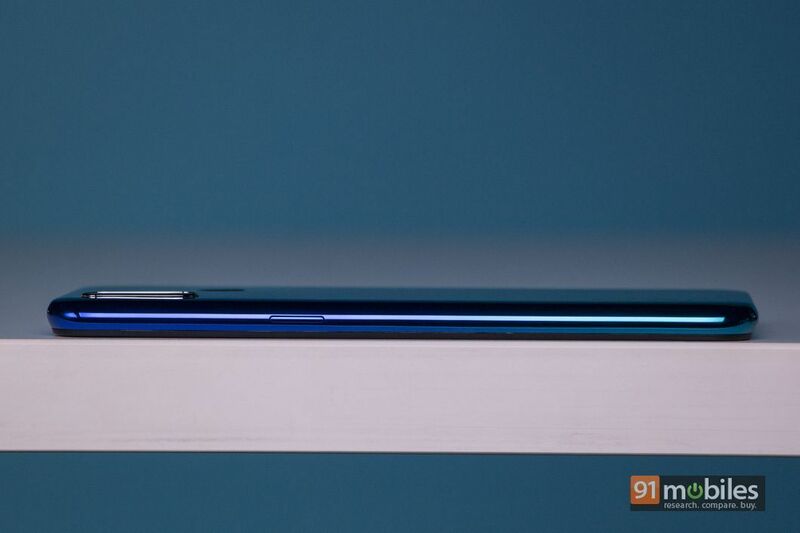 The Realme 3 comes with a unibody design that feels quite different in the hand than the previous models in the series, due to its rounded sides. The handset’s body is primarily made up of plastic and the brand has opted for a glossy finish at the back. 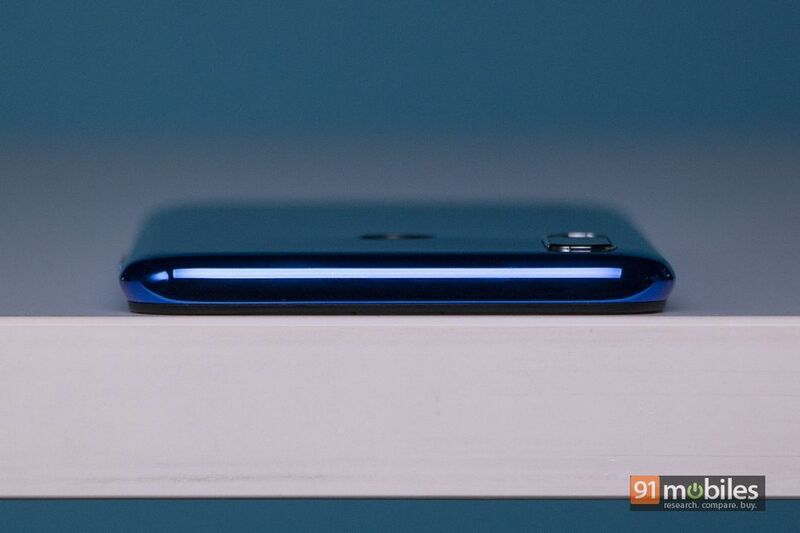 The phone comes in gradient colour options, Dynamic Black and Radiant Blue, and my review unit was the latter. The vibrant colours look quite appealing, but on the flip side, the fingerprints accumulate over the back after some time, and I’d suggest using the device with the bundled protective case. 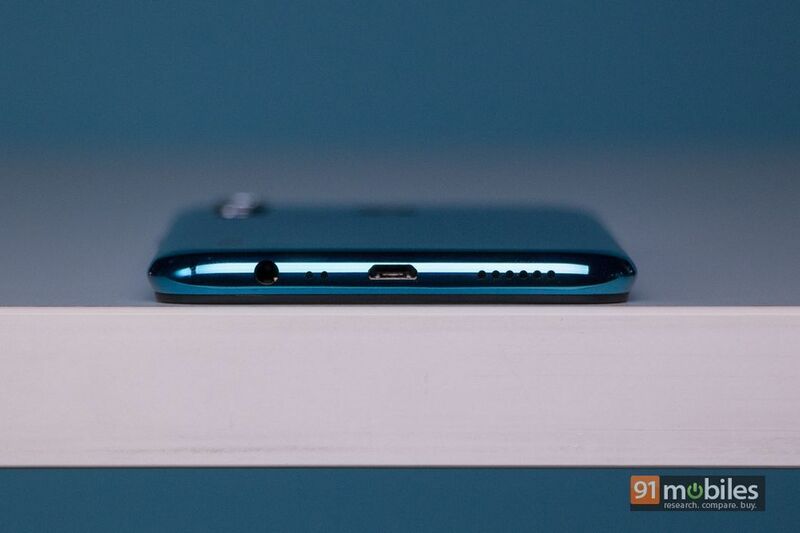 For some reason, the brand has opted for a bright blue colour for the fingerprint sensor, located in the middle at the back, and while I don’t like it personally in terms of aesthetics, you’ll find that it does sort of stand out. 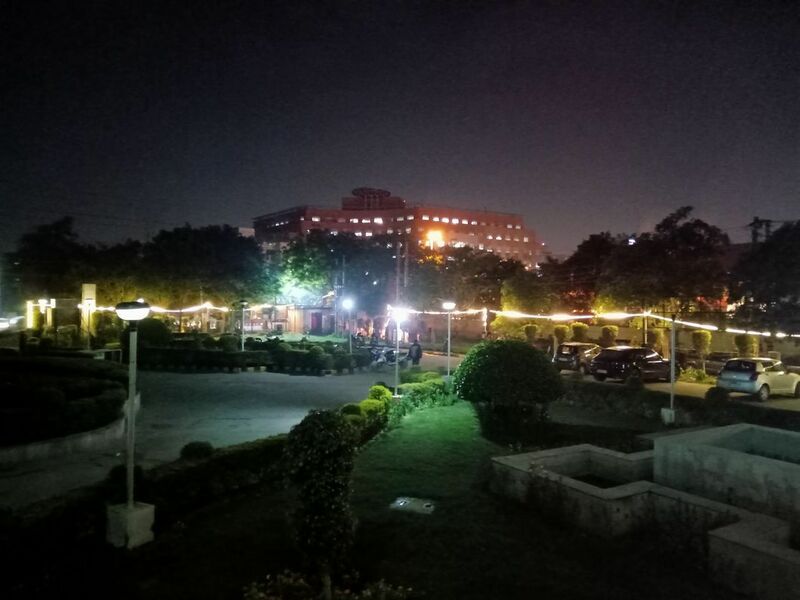 Unlike the Realme 2 that had a horizontal camera setup, the brand has implemented a vertical camera setup on the Realme 3 (consisting of two camera sensors and an assisting LED flash). This time around, there is an “iris ring” around the primary camera sensor to give it a distinctive look. 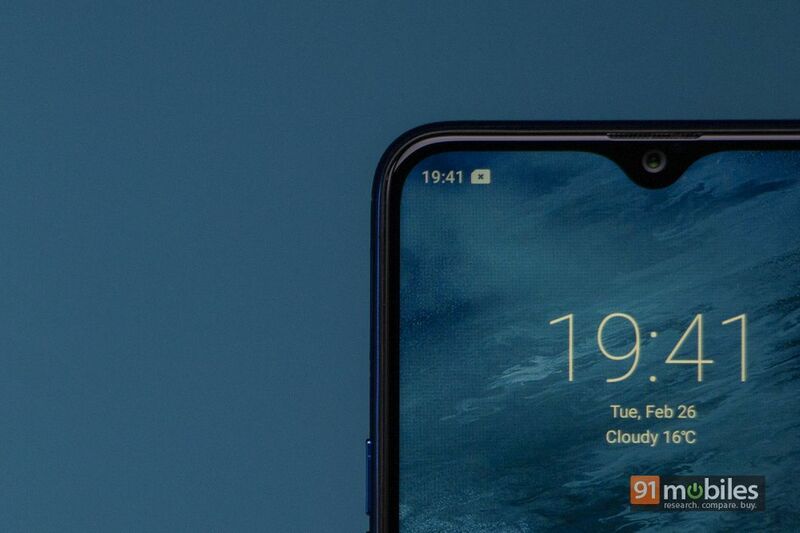 You’ll also find a rather large, distinctive Realme branding on the bottom left. The rounded sides definitely make it easier to hold the phone but it still feels slippery. The volume buttons are located on the left, while the power button is placed on the right. 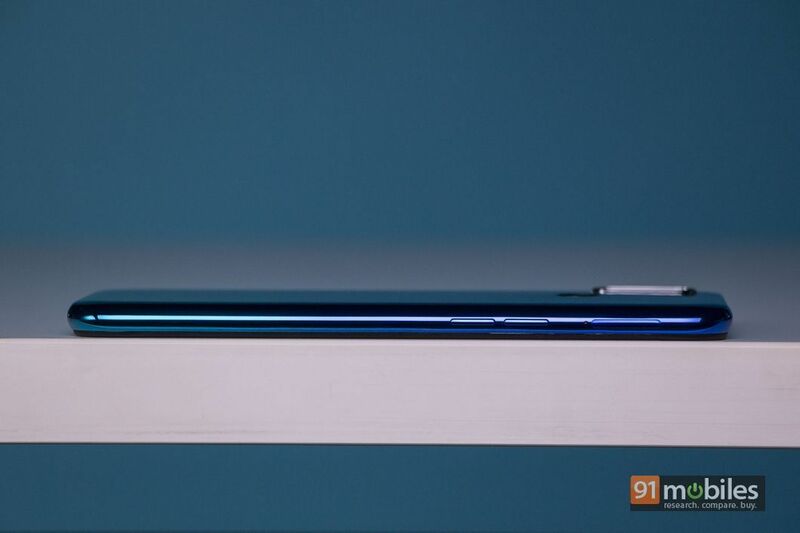 Coming to the front, the Realme 3 sports a 6.22-inch display with 19:9 aspect ratio and Corning Glass protection on top. While the screen features an HD+ resolution (1,520 x 720 pixels), the lack of sharpness was not a major concern for me. That said, I found the display brightness to be problematic, which affects the sunlight legibility. 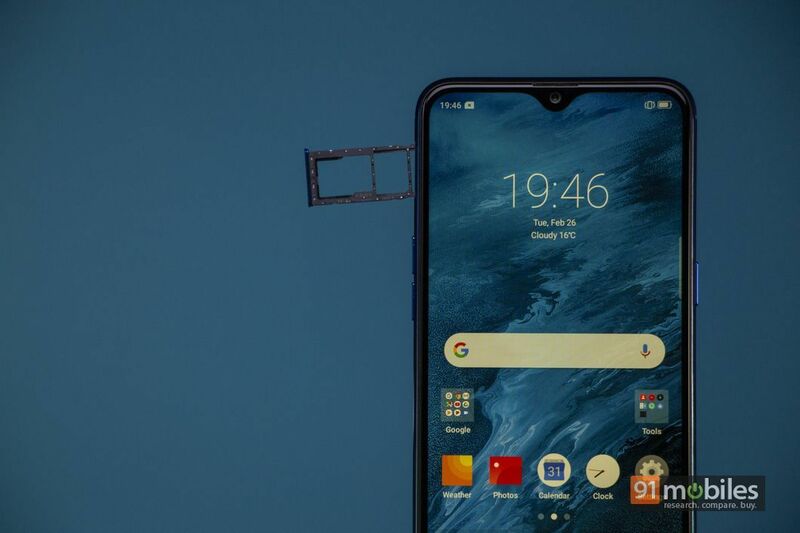 Thanks to the waterdrop notch, you get a large display in a manageable form factor, and your eyes will get used to the design in no time. Here’s a closer look at the phone from all angles. 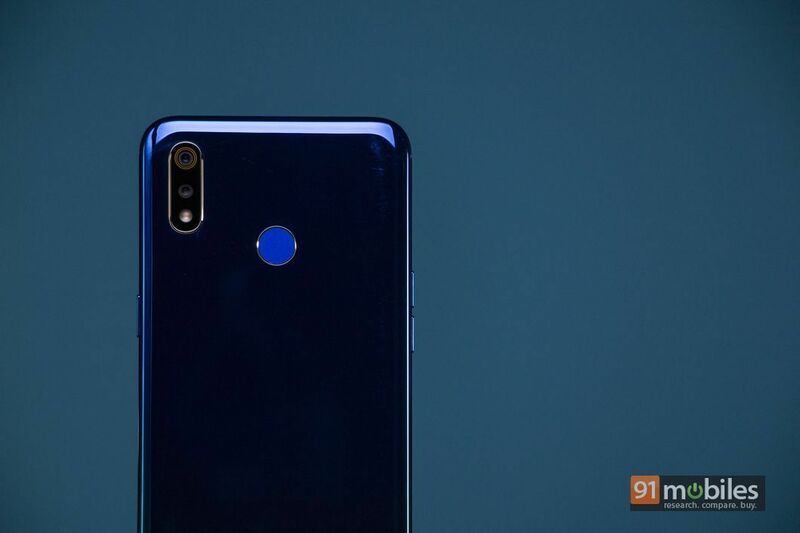 As I mentioned earlier in the review, the Realme 3 packs a dual-camera setup at the back. The module offers a pair of 13MP and 2MP snappers. In the default camera app, you are treated with all the usual options, including HDR, and Portrait mode, along with the ability to shoot videos in up to 1080p resolution. 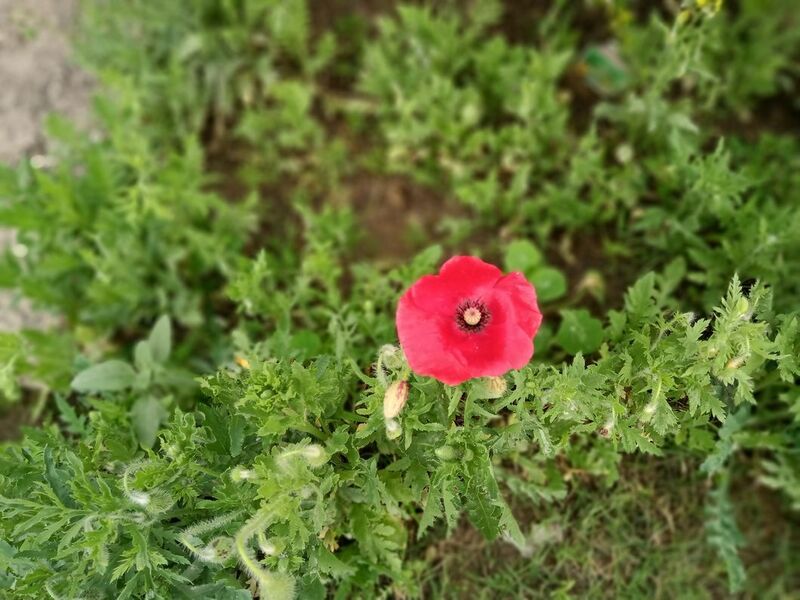 The Realme 3, much like the Realme 2, doesn’t disappoint in terms of capturing details. You can click bokeh shots with both front and rear camera setups, but edge detection is still poor. The dynamic range in the camera samples is decent for this price range but nothing to write home about. Even the front camera manages to capture details well, but some level of smoothening can be observed even when the AI beauty feature is set to the lowest point. If we talk about the new additions to the camera software, the brand has included Nightscape mode and Chroma boost to the phone. 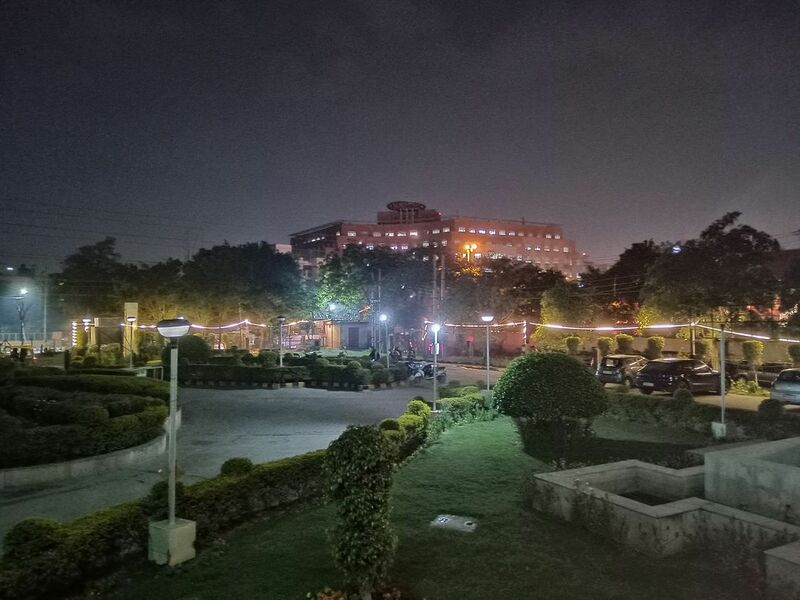 With the help of AI, multi-frame synergy and the anti-shake algorithm, the brand claims that the Nightscape mode significantly improves quality of the images taken in dim light. All you need to do is choose the mode from the side menu on the home screen of the app and click the image. You need to hold the phone still for the phone to capture more information and the results are pretty decent. In the camera samples gallery embedded below, you can see the difference between the regular night shot and the one with Nightscape on. Coming to the Chroma boost mode, the phone essentially tries to detect the conditions of a particular scene before optimising the general camera settings, including exposure, to ensure you get a good image. 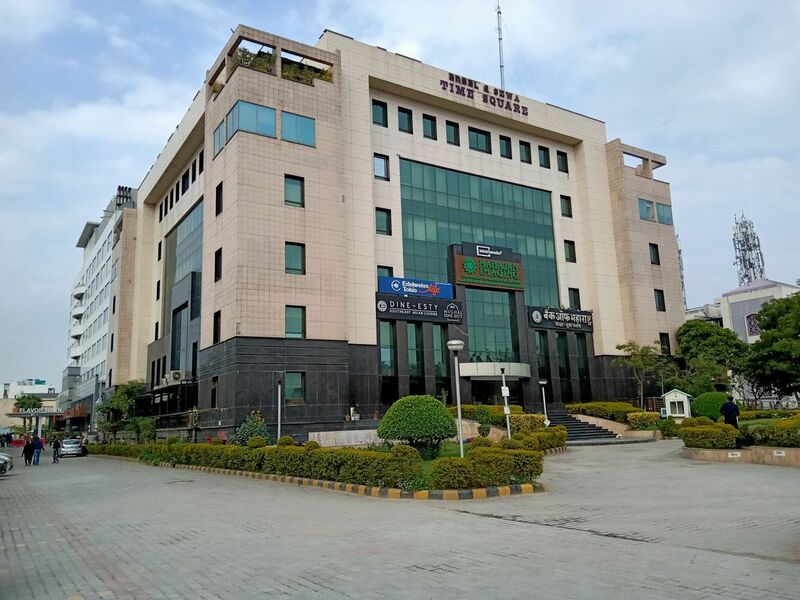 Realme claims that this mode offers enriched details highlighted parts and shadows. We did not find this particular feature to be as good as the Nightscape mode as the changes were fairly marginal as compared to the regular mode. For those of you who like to tweak exposure and white balance settings, there is an Expert mode included in the app as well. Internally, the Realme 3 is fuelled by a MediaTek Helio P70 chipset clocked at 2.1GHz. The phone is being offered in two RAM and storage combinations — 3GB + 32GB and 4GB + 64GB. Our review unit was the latter out of the two. The onboard storage is expandable up to 256GB via microSD card. There’s also a dedicated microSD card slot, so you don’t need to compromise on dual-SIM functionality if you want to add more storage. The Helio P70 can be described as a reliable chipset when it comes to performance and it was evident with the Realme 3 as well. While gaming on the phone, I didn’t face any major stutter issues or drastic frame drops. However, gaming enthusiasts should know that the phone manages to run PUBG at high graphics settings really well. In the audio department, the phone can get really loud but the audio quality is not all that great and sounds screechy at times. Moving to the user interface, the Realme 3 runs Android 9.0 Pie based ColorOS 6.0 out of the box. The new iteration of the ColorOS comes with a minimalistic look and I actually enjoyed some of the visual changes that have been introduced to the platform. For example, when you increase or decrease volume, the volume bar appears on the left side of the screen and you can also adjust the volume for alarm, music, and a ringer from the option that pops up right below this bar. The toggles look clean from a purely visual perspective and you can still manage notifications by swiping left on them from the notification centre. The brand has tried to keep the stock Android experience intact and users can access the app drawer by simply swiping up from the home screen. In order to access recent apps, you need to press the home button and swipe upwards. You can also choose to simply swipe right and then left to quickly jump between recent apps. Certain features like Game Space make a return and you can enter the split-screen mode for supported apps by simply swiping three fingers in an upward direction. For security, apart from the fingerprint sensor, there is also a face unlock option. However, I did not find it to be particularly secure as I could unlock it even with half my face covered, which means that it is fairly easy to trick the mechanism. You can choose the option where the phone would not be unlocked if eyes are closed but it is worth pondering why this is not the default setting. I would suggest you stick with either the fingerprint sensor, which unlocks really fast, or choose a strong password. 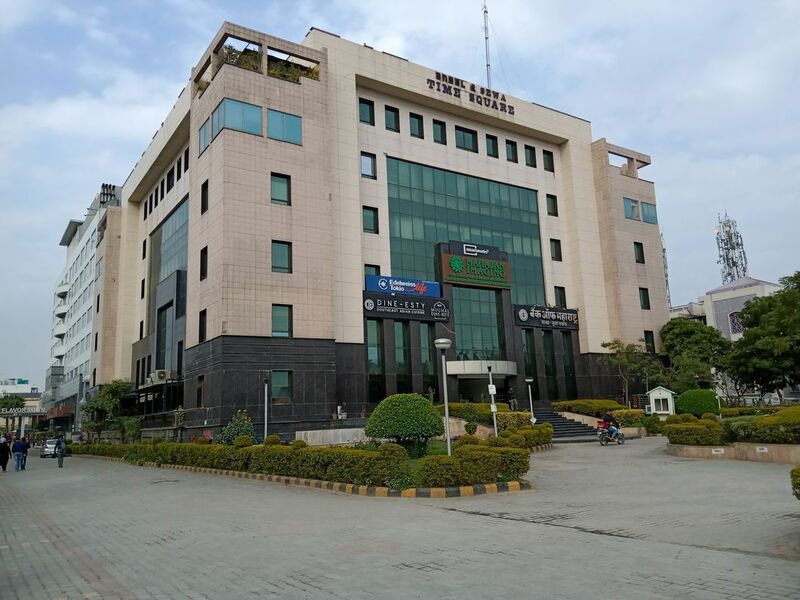 Battery life is one of the most important aspects for smartphones and thankfully, just like past Realme phones, the third instalment in the series does not disappoint in this department either. The handset packs a 4,230mAh battery and comes with a battery optimisation mode as well. Even for heavy users, the Realme 3 will easily last beyond a day and you will feel no need of carrying a power bank with you. The Realme 3 ticks most boxes for a capable smartphone, including reliable performance, decent cameras and a long-lasting battery. 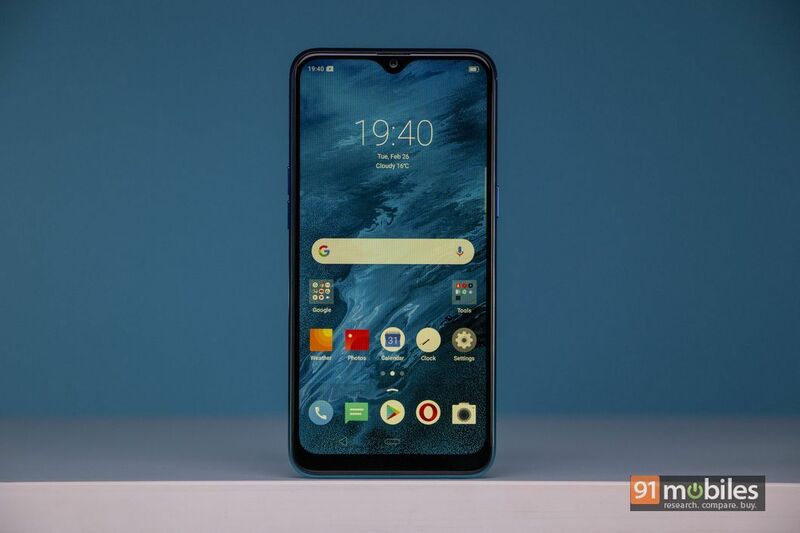 Add to it the fact that the device starts at a very reasonable Rs 8,990 for the base model with 3GB RAM, and the smartphone surely comes across as an attractive option. However, the device does face a lot of competition in this segment. Xiaomi’s Redmi Note 7 (review) for instance, packs an FHD+ display, while the ASUS ZenFone Max Pro M1 (review), although old, offers a sharper panel and bigger battery. 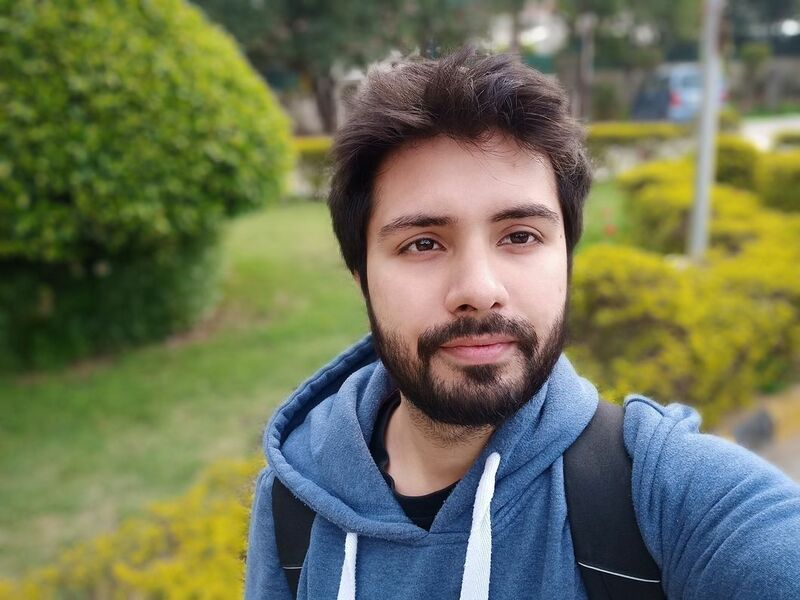 All things considered, while the Realme 3 isn’t the only option in its segment, the smartphone should definitely be on your shortlist if you’re looking for a solid all-rounder that’s light on the pocket. 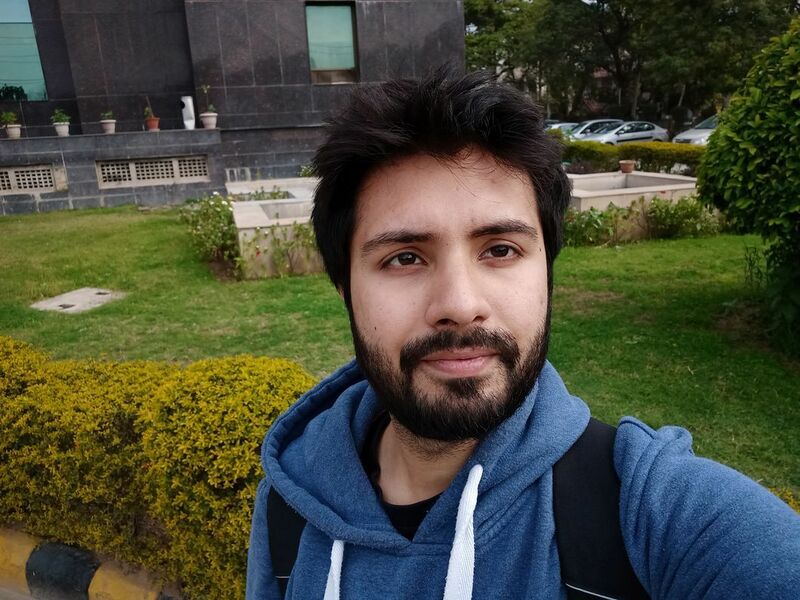 One of the newest members of the 91mobiles team, Shekhar is a tech enthusiast who finds it difficult to hold his excitement when it comes to latest gadgets. He has a wicked sense of humour and can have a repartee with you on any topic ranging from sports, movies, and literature to the shameful existence of The Flat Earth Society. He'll always regret not investing in Bitcoin when it was $230 and will still advise against investing in cryptocurrency. He doesn’t consider Shakespeare to be a great playwright and if you want to have a funny conversation, just ask him why. 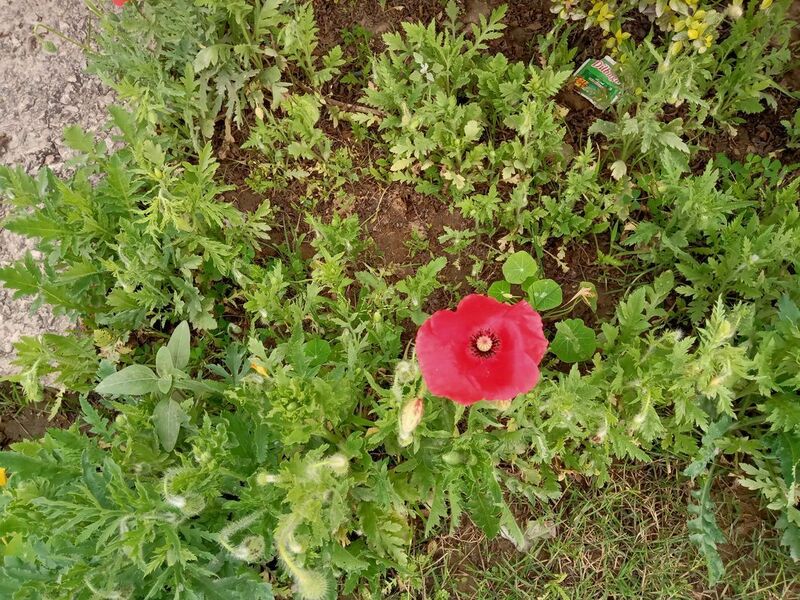 Huawei P30 Pro vs Samsung Galaxy S10+ vs Google Pixel 3 XL camera comparison: the best camera phone of 2019?